The unique formula IDS uses to create New-Whey Liquid Protein starts with three hydrolyzed proteins. Hydrolyzing proteins breaks them down into peptides which are more readily used by your body. As a result, New-Whey's blend of three quality proteins is absorbed quicker and more completely than many other protein supplements. Please contact us to submit your review for Liquid Protein 42g Blue Raspberry (12 ct) - New Whey Liquid Protein. 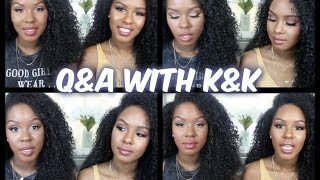 Q&A w/ K&K | Life Regrets, Kids, & Healthy Eating? Athletic and ripped muscled Upper Body Workout - 4 Exercises in 4 Minutes!